This Panasonic triple split outdoor unit model CU-3Z52TBE can be fitted with 3 indoor units either in 2kw or 2.5kw output with each indoor unit having its own remote control. 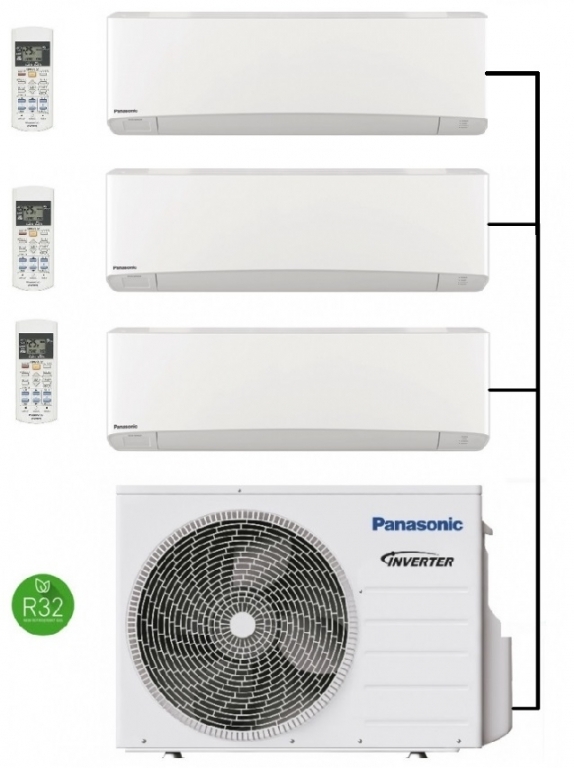 This system can provide reliable year round heating and air conditioning as required. Features include advanced filtration on the indoor units for clean filtered air and a super quiet fan speed setting for whisper quiet operation. Further information can be found in the downloadable brochure below on this system.